Here’s my miso-marinated tofu…it’s always so good. 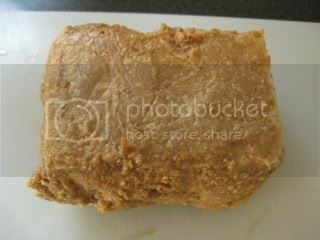 Medium-firm tofu was cut into half and its excess moisture was drained (with a weight on top) for over night. Tofu was then pat-dried with paper towel. For the marinade, I mixed ½ cup miso (I use my almost 2-year-old homemade), 1.5T agave syrup (can be substituted with honey), and 1.5T kefir (can be substituted with yogurt). 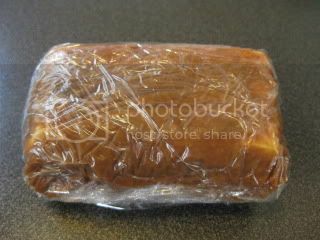 For a piece of tofu, ¼ amount of miso-marinade is spread on a plastic wrap. 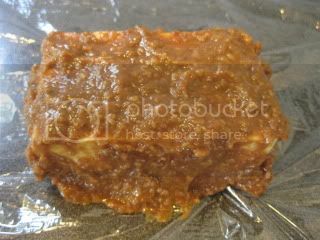 Tofu was placed over it, then another ¼ amount of miso-marinade was put on the top. Miso was spread all over the tofu. Then, wrap it tightly. Do the same with the other piece of tofu. 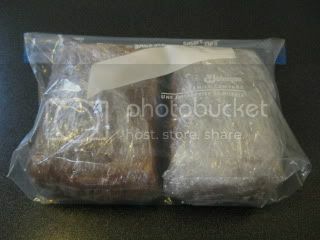 They were put in a Ziploc bag, then kept in the refrigerator. It’s ready to enjoy after 3 days, but after 1 week is even better. 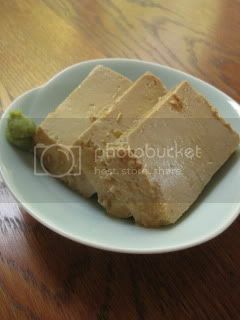 After 2 weeks, tofu becomes dense and creamy like cream cheese, and the flavor is so deep! 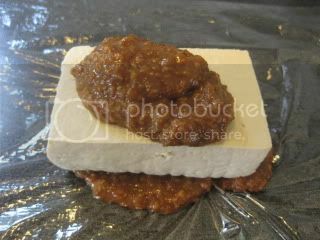 To taste, you can gently wipe off the miso marinade from tofu and slice into desired size pieces. My favorite is 2-week-old kind. It’s quite addictive (especially for sake lovers). 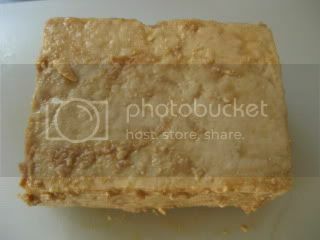 Here's the 2-week-marinated tofu. 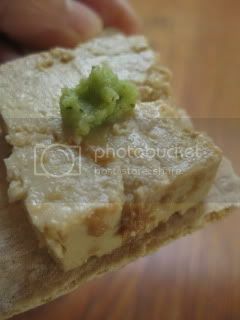 The miso marinade was gently wiped off and tofu was sliced to serve. 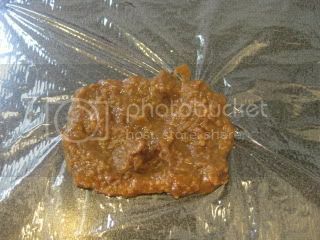 The condiment of choice was simple wasabi paste. The texture of tofu was exactly what I expected. So dense and creamy. And the flavor was massive umami paradise! Sake please! You can also serve it with crackers. It makes a nice passed hors d'oeuvres. Roasted Muscovy Duck with Donabe Smoked "Jus"